To treat young healthy prepubescent girls with a known carcinogen to stunt their adult height sounds like a bizarre science fiction experiment, but it is unfortunately true. 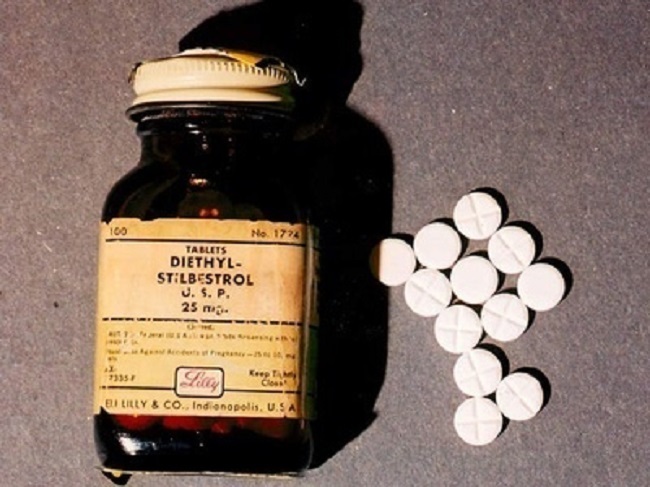 From 1959 through the 1970s physicians and researchers from the Royal Children’s Hospital and the University of Melbourne, gave adolescent girls of tall stature a powerful estrogenic hormone with a growing list of known side effects called diethylstilbestrol (stilboestrol) or DES. 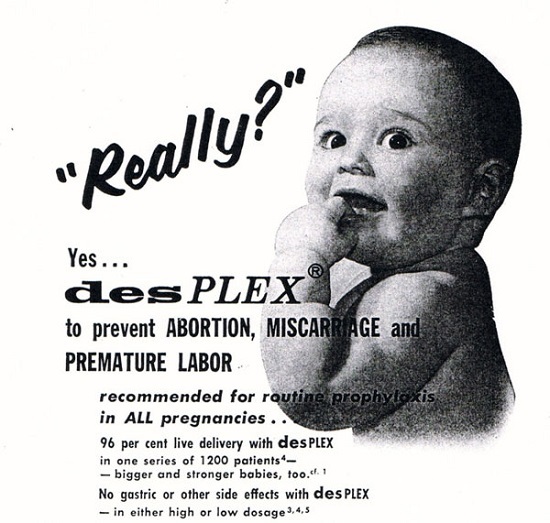 DES had been used in obstetrics to prevent miscarriage, in farm animals to bulk up livestock before slaughter and to caponise (castrate) chickens from the 1940s through 1970s. Early on, the drug was found to be ineffective in preventing miscarriage and serious side effects including cancer were noted. Indeed, cancer in farm hands caring for animals treated with DES and concern about the effect DES infused meat might have on human health caused the FDA to ban its use in poultry farming in 1958, well before banning its use in human women. Despite the risks associated with this drug, clinicians and researchers in Victoria Australia, funded by governmental agencies and throughout the US, Norway, and elsewhere, thought stunting the growth of tall girls, for purely psychosocial reasons, was a good idea. The rationale behind treating tall girls was so they could do ballet, buy clothes more easily, and find boyfriends and husbands. DES was used on healthy girls for purely psychosocial reasons. Apparently, being a tall girl was reason enough to consider medical treatment with a powerful, largely untested, synthetic estrogen with mounting evidence of carcinogenicity. Little consideration was given to the psychosocial effects this drug would have on a young girl including nausea, the immediate onset of menstruation, the sudden development of breasts, and sudden rapid weight gain; and, of course, the long-term health outcomes of this treatment were never a consideration. The only long-term outcome considered was adult height. When meeting the tall women who underwent this treatment, it is reasonable to conclude the treatment did not work. Indeed, most of the research suggests only a 4cm reduction in height. DES Action Australia was established in 1979 as the national support and advocacy group for individuals exposed to DES. In the early 1980s, the DES issue was new to us all and we were devouring information about its history and use. One aspect of interest was its use in veterinary practice. One of the first DES “patients” may have been Tricky Woo of the ‘All Creatures Great and Small’ books and TV series. In the late 1930s, kindly Dr Herriot prescribed the new “wonder drug” stilboestrol for Tricky Woo’s embarrassing problem with incontinence. Any drug which was thought to prevented miscarriage and result in bigger, healthier babies was of obvious interest to veterinary science. However, as in the earlier laboratory animal experiments, DES was soon shown to be deleterious to the health of the mother animal, to the DES exposed offspring and, interestingly, to subsequent litters. 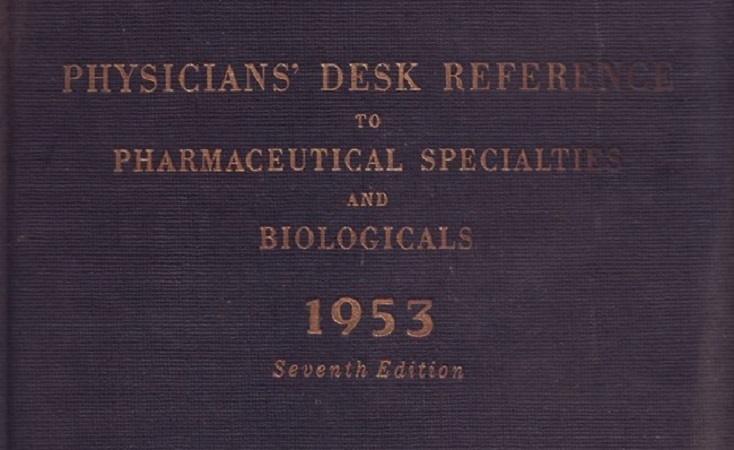 Thus, recommended use of DES in veterinary practice was limited to old animals, and animals that were never going to breed. We first heard of DES being used to inhibit the adult height of tall young girls almost by accident. In the early 1980s a sister of DES Action member, Clare Green, was studying veterinary science at Melbourne University. Through her we learnt of a Melbourne veterinary scientist, Dr. Anne Jabarah, who had research DES during the 1960s as part of her Masters and PhD studies. Clare rang Dr. Jabarah and spoke to her at length about her research findings: that administering DES to cattle led to them subsequently developing mammary cancer. Dr Jabarah commented that the published articles caused a great deal of interest internationally but not in Australia. Almost as an afterthought, she mentioned the Royal Children’s Hospital (RCH) here in Melbourne had requested details of her research, as they were thinking of using DES to inhibit the growth of young girls. She said she had often wondered whether they went ahead with the treatment. Clare, on behalf of DES Action, wrote to the RCH seeking clarification on the matter. A letter was received from the medical director of the RCH stating that DES had never been used for such a purpose. In addition, Clare was asked to go into the Victorian Health Department to meet with a department spokesperson. The doctor told Clare that the matter had been looked into and there was no evidence that DES was used for this purpose. We were thus reassured, both in writing and in person, that no such trial had taken place. So it came a quite a shock several years later when I was contacted by a young woman who had been part of this nonexistent trial. She had attended the RCH and had been given DES to stunt her growth. She was in her early 20s and had been diagnosed with advanced invasive cervical cancer. As she was a nurse she knew this was very rare, particularly as she had none of the known risk factors for the disease. When I asked her how she found out about DES Action and obtained my phone number, she said her treating doctor (a well-known Ob/Gyn) had suggested she ring. He had made the connection between her DES exposure as a young girl and the subsequent cervical cancer. Another letter was sent to the RCH, again requesting clarification on the matter. We received back a very defensive letter in which the hospital distanced itself from the trials. 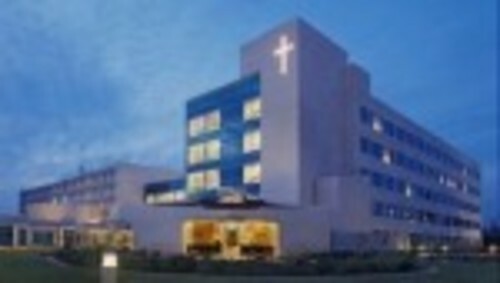 They said that the clinician involved had been a private consultant and what he did in his clinics was in no way connected to the RCH. In subsequent years (mid 1980s to 1997) we received a handful of further inquiries from “tall girls” requesting information. Unfortunately, these were spaced too far apart for us to put the women in contact with each other. The health concerns of these women had an all-too-familiar ring: dysplasia, endometriosis, ovarian cysts, aggressive cancers (cervix and breast), impaired fertility and premature menopause (i.e. occurring during their 20s). I can’t really describe my feeling when I opened The Age newspaper on 27 June 1997 and read on page 1: Hormone tests on teenage girls referred to inquiry. I think the main emotion was a sense of relief – that the truth would finally be known – tall girls were given DES to stunt their growth. It also brought back to me the anger and frustration Clare and I experienced in the early 1980s when our inquiries were fobbed off by the medical establishment and health authorities. And then my phone started ringing. As DES was mentioned in the article, the newspaper must have had me as a contact and referred any inquiries onto me. Remembering how previously we were unable to put the women in contact with each other, I made a contact list of every phone call received. I explained to every caller the importance of organizing, of forming a group to share experiences, and offered to give them the list to follow up. From memory I think Janet Cregan-Wood was about the fifth caller. She rang back the next day and “volunteered” to take on the role. And so the Tall Girls group formed and their DES story emerged. About the author: Marian Vickers is a DES daughter and, in 1979, was a founding member of DES Action Australia. As the DES story has evolved over the years so her focus has broadened – from issues around DES exposure to the wider issue of safety of pharmaceuticals; and finally to an understanding of endocrine disruptors and the implications for public health, particularly in terms of inadequate drug safety surveillance and reporting systems. In 2008 Marian became a ‘Gardasil mother’ when her elder daughter’s health was severely impacted by the HPV vaccine. Not only did she gain an appreciation of what DES mothers went through, she sees disturbing parallels between the DES and Gardasil stories. This article was published originally on Hormones Matter on April 21, 2014. DES – The Drug to Prevent Miscarriage Ruins Lives of Millions DES was Given to My Mom as a Vitamin Maternal DES Exposure and Intersex Development in Males From DES to the Pill: Are We Doomed to Repeat History? Marian Vickers is a DES daughter and, in 1979, was a founding member of DES Action Australia. As the DES story has evolved over the years so her focus has broadened – from issues around DES exposure to the wider issue of safety of pharmaceuticals; and finally to an understanding of endocrine disruptors and the implications for public health, particularly in terms of inadequate drug safety surveillance and reporting systems. In 2008 Marian became a ‘Gardasil mother’ when her elder daughter’s health was severely impacted by the HPV vaccine. Not only did she gain an appreciation of what DES mothers went through, she sees disturbing parallels between the DES and Gardasil stories. I was treated by a Dr Gordon (I think) in Brisbane in the early 1970’s. I took tablets and had hundreds of xrays. My main concern was that the doctor conducted many invasive internal examinations and I remember being made to stand naked in front of a groups of men who talked about my body. This was an extremely shameful experience for me. My main memories are of being cold and afraid. For some reason my parents didn’t come with me after the first visit. This went on for three years and has left me with a deep sense of shame. Did anyone else have these experiences? The treatment brought on puberty for me (age 13) and I had many miscarriages, endometriosis and have suffered from anxiety and depression all my life. I was treated with DES at Mount Sinai Hospital in NYC in the mid 1960s. Projected to be between 6’4″ and 6’8″ I stopped growing at 5’10”. I have had a number of the side effects I have been able to find identified in print but I am currently (at age 60) dealing with something I have only found inferred to in print – the cartilage in my joints is disappearing – cervical spine, lumbar spine, knees, toes, fingers, knees, shoulders, hips. It makes sense to me that my unnaturally sudden growth and equally sudden halt over a 2-3 year time span could have had a negative impact on cartilage development. I have suggested this to orthopedic surgeons who respond to me as if I am crazy – no such treatment for height could ever have actually happened… If anyone knows if cartilage degradation and DES treatments for height are linked, I would sincerely appreciate knowing. Thanks! I wish I could be helpful in providing an answer. The degradation of your cartilage sounds very painful and disabling. As per previous comments I have made, you will see that I am also a DES treated Tall Girl. I suppose all I can say is, as far as I am aware, there has been no research done on long term muscular skeletal disorders. But I rather like the saying ‘absence of evidence is not evidence of absence”. Given the endocrine disrupting nature of DES and timing of our exposure, it is not unreasonable to suspect that many of our systems may have been affected. It is not easy when you have to deal with the Medical community when they are lacking in knowledge and are so dismissive. It is important that we share our stories, otherwise we remain ignorant about possible health issues that are experienced over a life time. And, you also know you are not alone. My email is in a previous comment, so if you wish to get in touch, it would be good to hear from you. I was treated by Dr Wettenhall in Melbourne in the late 70’s early 80’s. I have also had thyroid problems resulting in a hemi-thyroidectomy which I am not sure have been linked – but as a part of the endocrine system may have been disrupted by the prolonged administration of unopposed EE. In 2015 I have finally given up on any hope of reproducing and am trying to understand better what happened to me and why height attenuation was allowed to be practiced on otherwise healthy children. In 2000? I was contacted as part of the tall girls study. I participated in that and remember being very disappointed not to ever receive any results. It was a bit of a blow to me as I had thought that I finally might get some information – but then nothing. 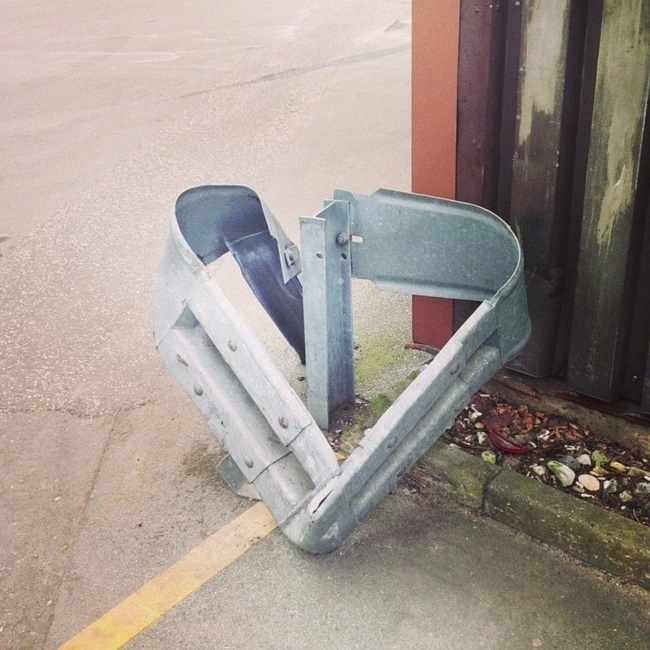 I felt abandoned. And confused. Again. I’m still not sure how this was allowed to happen. How my mother was convinced it was a good a good idea I do not know – but I read that my doctor ‘popularised’ the treatment. I know she thought she was acting in my best interests – but I believe she was misled. I now wonder if there were alterior motives for keeping a supply of young children visiting when, at least by the time I was being treated, the practice was or had been phased out in other countries and was not practiced in any other state in Australia due to ethical concerns. I’d be grateful to learn more. I’d like to see the results of the study in which I participated. Can anyone help? I was treated in Melbourne by Norman Wettenhall myself, but way back in the 60’s. I am able to send you the papers so far published from the Australian study as well as a later Dutch study. I can be contacted via email redjade@internode.on.net Unfortunately nothing has been published re gynaecological outcomes as the money ran out. The data was collected and it is so regrettable that we don’t have access to this part of the study. Unfortunately also, even though we know that fertility was impaired and that premature ovarian failure was statistically significant we don’t know why..all research that needs to be undertaken. The Australian study was an epidemiological study, so causes weren’t examined. This is my story. It was a nightmare done to me against my wishes would be the understatement of the century. I was basically kidnapped and forced to be a medical experiment. A failed one for sure. Most likely,no height reduction, extreme emotional trauma,and aggressive breast cancer at age forty. Thankfully, by the grace of God it was caught very early and I am here to enjoy my four children, though two of my children were born with an adrenal insufficiency which I still have suspicions could have been caused by me having DES directly injected, which removed a plug size piece of skin each time,into both ovaries (this was done about three or four separate times in Augusta, GA at Dr.Greenblatt s office in front of a group of young doctor’s who were learning from the monstermonster). Every time on the three to four hour trip to his office when I was between 11 and 12, most likely with my full adult height already achieved, my Mother would have to pull over for me to throw up because of my nervousness at what was about to happen to me against my will. But, it never phased her. Obviously, the whole thing phased me quite a bit but I give glory to my heavenly Father who had me in His mighty hand the whole time and who has delivered me from the pain and the breast cancer it caused (cancer free 13 years now). No weapon formed against me will prevail. Take that Dr. G wherever you might be in the afterlife!! ? Your story is very confronting, and as a fellow ‘Tall Girl’ who was treated with DES in the early 60’s, I feel great empathy with you. Your experience is particularly shocking. I have not heard of DES being directly injected into the ovaries. The group that i was involved with, here in Australia, ‘Tall Girl’s Inc.’, was disbanded in the early 2000’s after we had handed over to the research team which investigated the long term effects of oestrogen exposure of tall girls. I am also concerned about the possible epigenetic changes that may have occurred due to our exposure which may have had an affect on our children’s health. Hopefully, in time, we will hear more stories that may give us some indication. I am also a former patient of Dr. Greenblatt. I am interested in more information about the long-term side effects of the hormone treatments I was given as an adolescent to stunt my growth. As Janet says, there is indeed much to heed. 2. As DES was initially used as the treatment but then switched to EE, the study shows that it is any oestrogenic agent that can act as an endocrine disruptor in vulnerable individuals. EE is a component of the oral contraceptive pill, so the implications of this study are far-reaching. It is sobering to realise that the Tall Girls story would not have emerged if it hadn’t been for the initial media coverage. Similarly, there would have been no research if there hadn’t been the group in existence. I am still in awe of their achievement – to initiate and lobby for the research project, dragging the reluctant health authorities and conservative medical establishment along with them, and finally succeeding in having it funded by the National Health & Medical Research Council . Wow, what an achievement! It is truly shameful that the funding has run out for this ground-breaking, internationally recognised Australian study. One really has to wonder about the priorities and rationale of medical research funding. I was a founding member of Tall Girls Inc. in Australia. Before 1997 I had never met or spoken to any other woman who had received medical treatment for reducing their height. 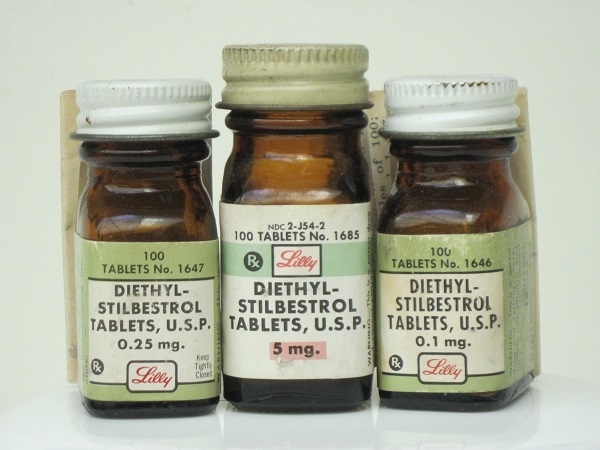 I was given Diethylstilboestrol as an 11 year old in 1964-5 in an attempt to reduce my mature height which was estimated to be over 6′. The side effects at the time of treatment were extremely difficult to deal with. For me these were menstral haemorrhaging, rapid increase of weight and rapid maturation of my body. I developed a major depression there after, along with an eating disorder. I experienced multiple miscarriges, ruptured ovarian cyst and early onset menopause. Of course these symptoms may well be the experience of many women. However, when our inaugural group of 5 first met, it seemed just too much of a coincidence that we all had had multiple gynaecological, reproductive and mental health issues. What was common between us..our treatment with either DES or Ethinyloestadiol (EE) as prepubescent and pubescent girls. Was there a connection..no one could tell us. No one had ever researched the long term effects of exposure to DES and EE at this critical time of development. We saw ourselves as a ‘canary group”. After media focus on our story we received over 250 phone calls from women who had undergone this same treament. There were resonances in all of the stories…poor reproductive health, poor gynaecological health and pyschosocial issues. The anecdotal evidence that we were able to collect was powerful and ultimately convinced the medical and scientific community that a long term study was necessary. Thus the world first study into the long term effects of oestogen exposure to reduce the stature of Tall Girls was made possible. The most important paper published from the Australian study in The Lancet showed that a tall girl treated with either DES or EE is nearly twice as likely to experience unexplained infertility. This result has since been replicated in a Dutch study which also reported evidence of early ovarian failure. Unfortunately due to funding running out in the Australian study the data from the gynaecological research has not been published. Tall Girls Inc. formally disbanded after we were satisfied that we had left our data in the very competant hands of an independant research team. DES Action Australia is committed to the development of our stories and how they are most importantly linked to the wider edocrine disruptor debate. Timing of exposure is pivotal. There is much to heed.